In Diabelli's “Duet in D” for piano, what are these brackets on chords that look like vertical slurs? While working through 'Duet in D' for piano, by A. Diabelli, I came across this unfamiliar notation that looks like a slur between two notes of the same chord or some kind of bracket (see below). 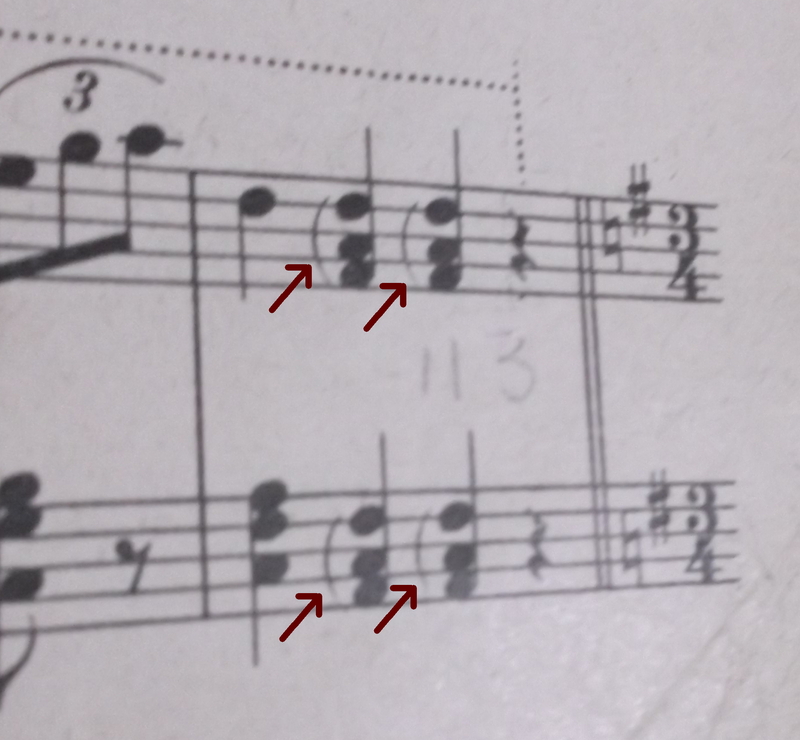 What is this notation called, and how do I read it? It's an alternate way to notate an arpeggio. arpège (Fr. ), arpeggio (It. ), arpeggi (It. plural): (Italian, meaning 'in the manner of a harp') a spread chord played from the top down or from the bottom up indicated by a vertical wavy line, a vertical square bracket or a curved bracket (the latter two signs are now uncommon). What is this square bracket between staves? Beethoven's Tempest sonata: tie or slur? Why do B and C resonate sympathetically? Strange type of 'grace note'? Advice on arranging an orchestral work for piano duet?